Earlier this year, my sister and I went for a weekend of retreat and renewal at Kripalu, a yoga center in the Berkshires. 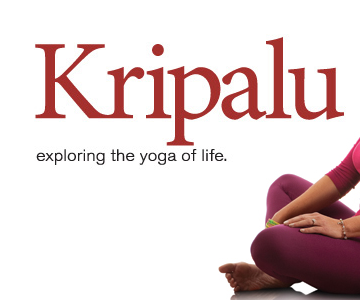 I’d been to Kripalu several times, but it was Libbie’s first, and I couldn’t wait to experience the newness of my favorite place through her eyes. We arrived on Friday afternoon, just in time to catch the 4:15 yoga class and enjoy a leisurely dinner. As we sampled off of each other’s plates, ooh and ahhing over every delicious concoction, a man with a head of grey hair and a beard to match walked past. “Celebrity watch, Michael McDonald,” Libbie said. She laughed and explained that “Celebrity Watch” was a game that she and her husband played – looking for ordinary folk who resemble celebrities. “Gwyneth Paltrow,” she said as a blond waif of a woman floated past. A tall man entering the dining room looked familiar, maybe like someone I’d seen in a movie or tv, but I wasn’t sure. Lib continued to play all weekend. Between our 6:30 am yoga classes, inspirational lectures, walks to the lake and labyrinth, and our repeated trips to the bookstore, she’d spot someone. “Paul Reiser,” she whispered in my ear as we browsed the bookstore shelves. “Who?” I whispered back, but knew she meant the actor from the tv show Mad About You when I followed her gaze. “Totally,” I agreed, and we continued to leaf through books. By noon on Sunday we’d reluctantly packed and prepared for our departure. We stood in the doorway, just outside the dining hall, willing ourselves to head to the exit. That tall, possible celeb I’d seen when we first arrived walked through the door. It was my last chance, and as he passed I blurted, “Are you…?” He stopped and smiled. We had to crane our necks to look up at him. “Yup, I’m that guy,” he said. “TV?” I asked. “Some” he said. “More movies and theatre.” We coaxed a few names out of him and Goodfellas was one I recognized. When my sister asked, “Did you eat the hot pepper in Dumb and Dumber?” his face lit up. “That was me,” he said, standing a little taller. We stood in the doorway for almost a half hour as he entertained us with stories from his weekend course Big Guy Yoga, and tales of growing up in Brooklyn with a bunch of brothers and life on a movie set with Jim Carrey. By the time we said goodbye, we’d exchanged hugs and email addresses. “Leave it to you to take celebrity watch to a whole new level,” my sister said as we walked toward the parking lot. I thought about him several times on the drive home. There was something so familiar about him. That night after tucking the kids into bed, curiosity got the best of me. When I typed Mike Starr into Google, pages of movies and theatre credits appeared on the screen. “Holy smokes,” I said aloud, as I took in all the titles. The last page had a long list of his tv roles. I scanned the list and felt my fingers tingle when my eyes stopped on the show Joan of Arcadia. Then I remembered. He was God. I sat back in my chair and a shiver went through my entire body. Divine plan indeed.